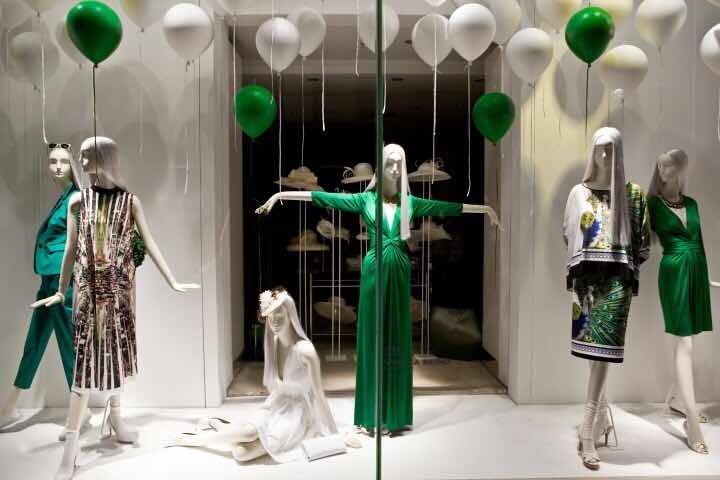 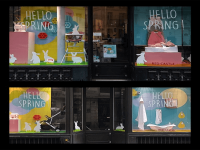 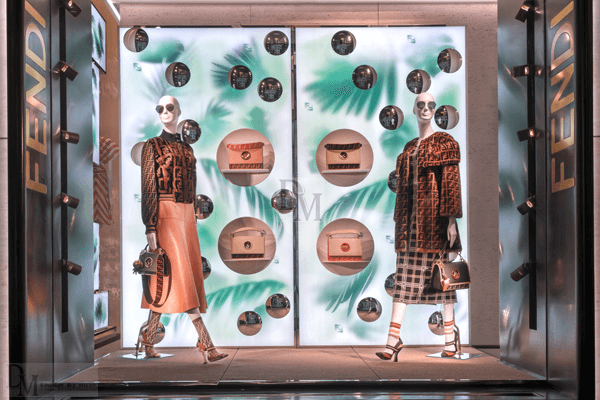 In visual merchandising, various elements can be adopted in window display, and animal props have always been one of the most eye-catching elements, which is also attractive to retail pedestrians. 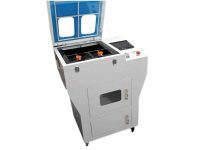 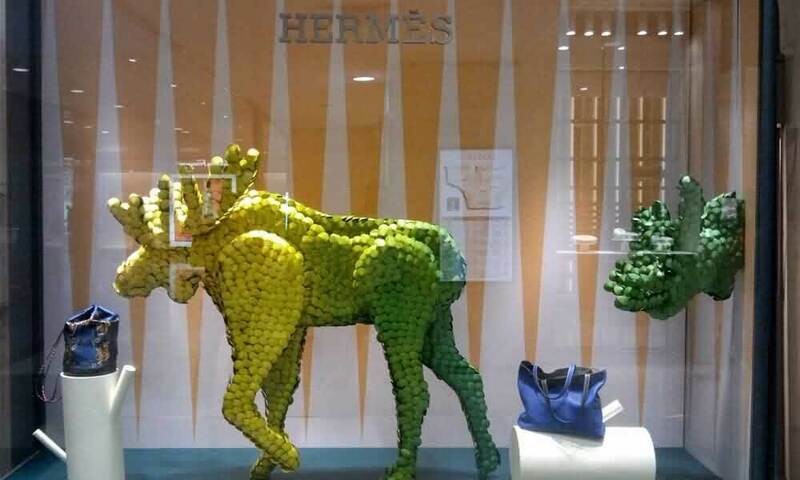 Thus more and more visual merchandisers like to use different animal elements in creating window displays or commercial mall decoration. 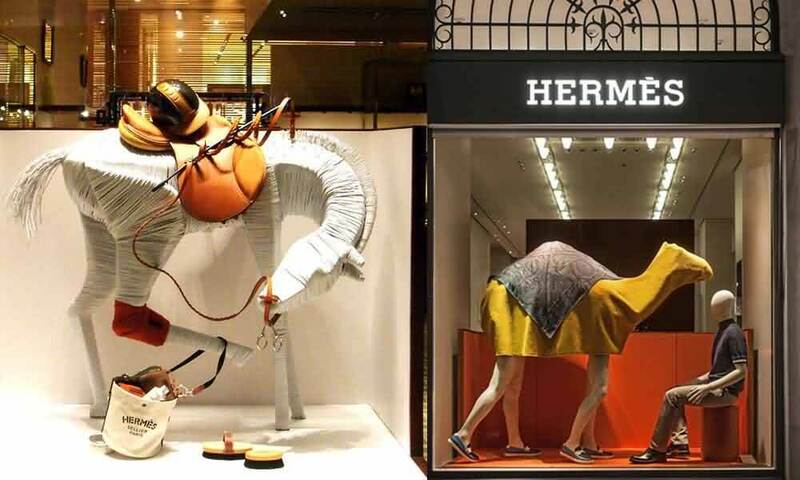 Especially in the Luxury industry, Hermes and LV particularly like using animal figurines as their window display props. 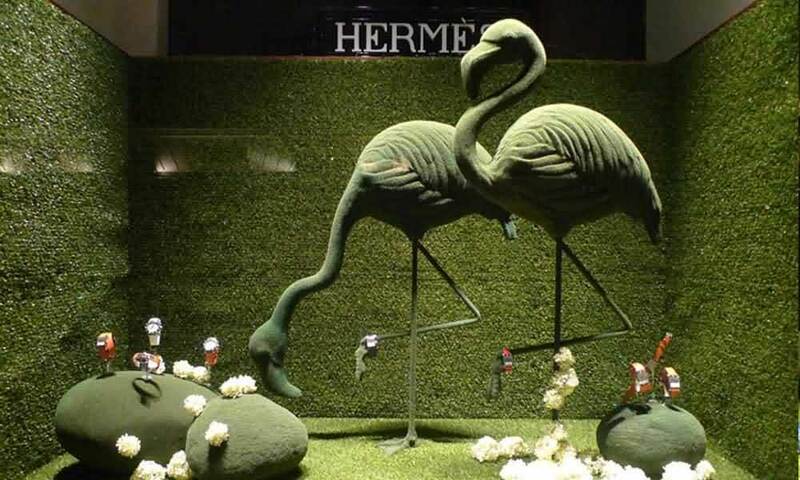 For Hermes, the animal elements they’ve used were horse, flamingo, peacock, tortoise,etc. 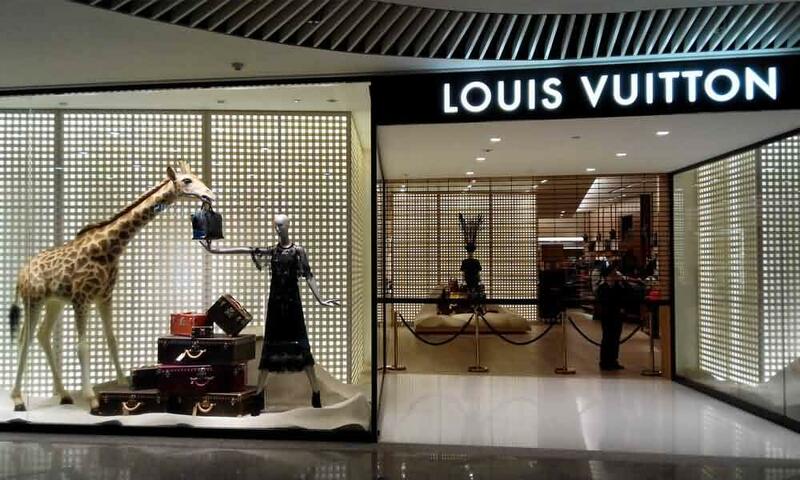 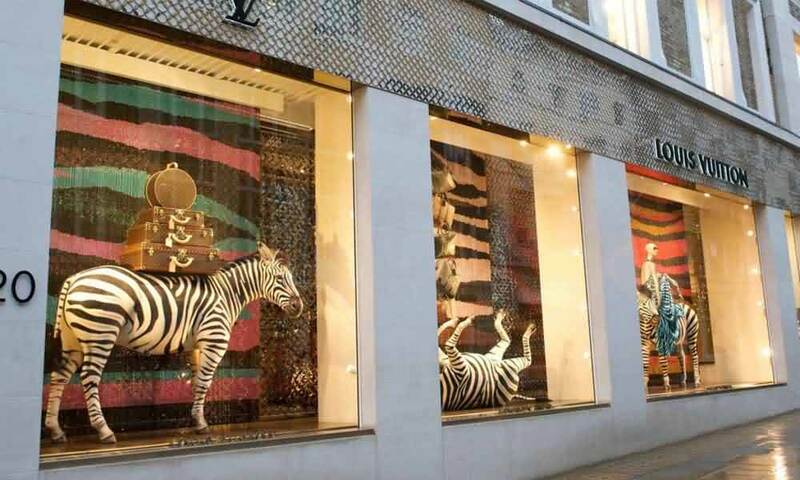 For LV, they have used Zebra, Giant ostrich, Giraffe, and other elements combined with merchandiser’s creative idea to decorate their shop windows. 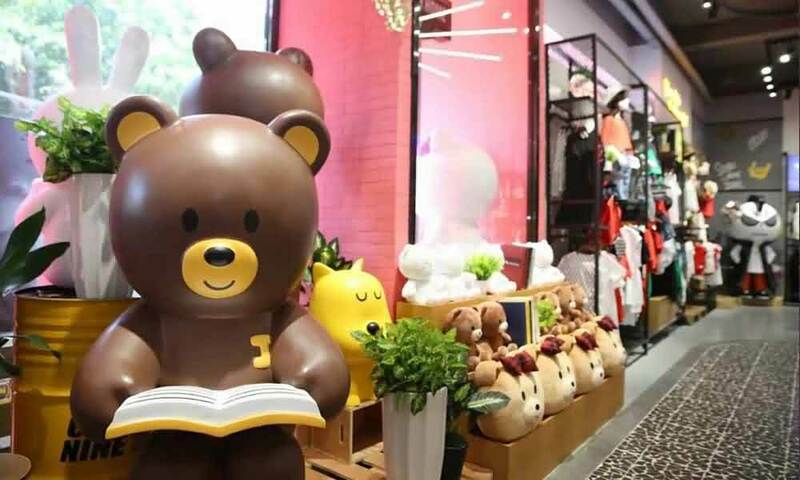 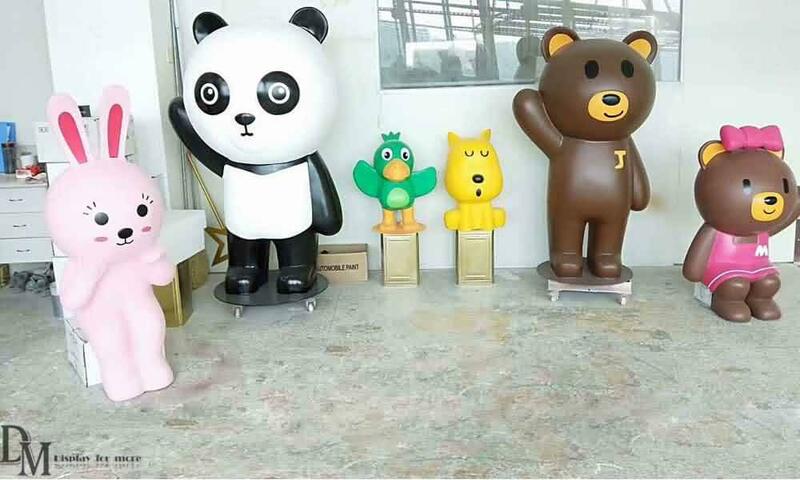 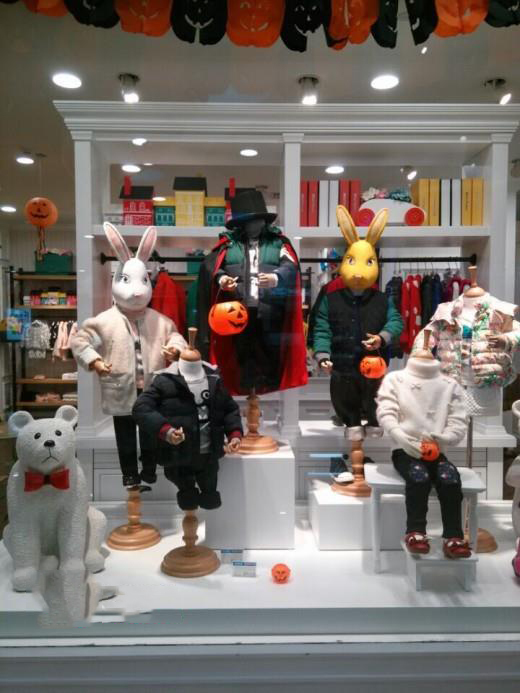 Animal elements are always with great inclusiveness, it would be attractive display no matter in children clothing store window, men/women clothing store window, or commercial mall decoration and themed park. 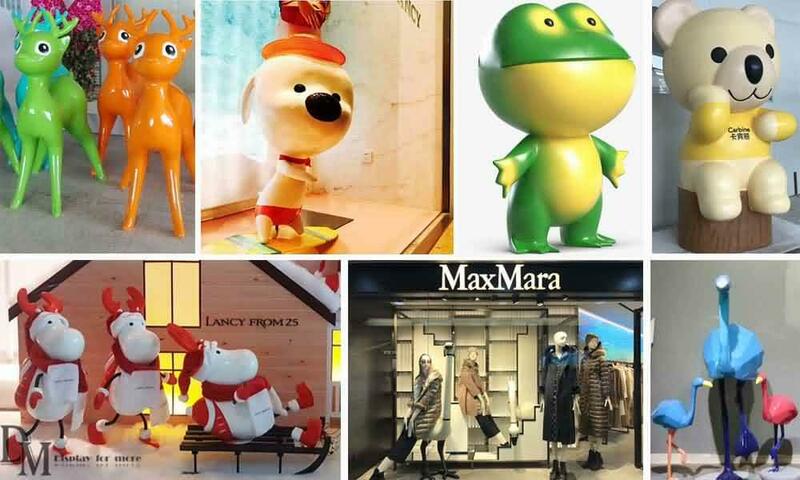 As a leading VM props manufacturer, DM window display is able to customize any animal statue for different visual merchandising scenes. 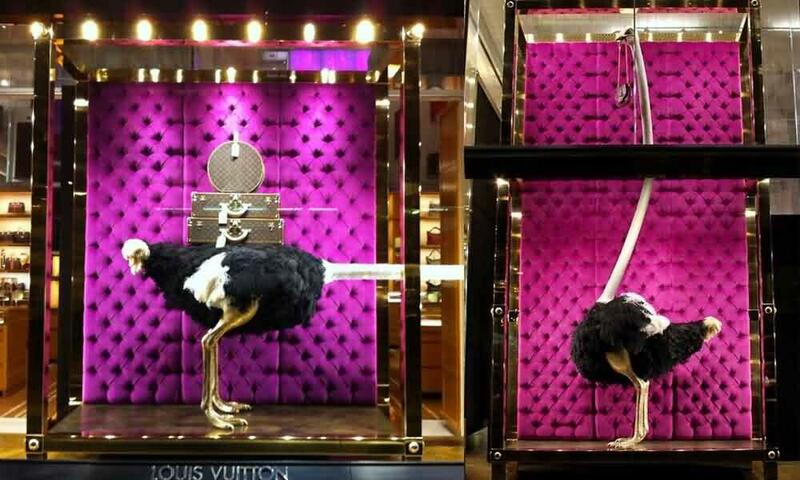 After viewing these creative animal elements window collections, do you get any idea to design your shop windows?